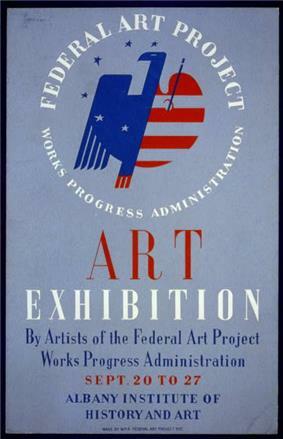 Poster for Federal Art Project exhibition of art by WPA Federal Art Project artists at the Albany Institute of History and Art. Willem de Kooning and Santiago Martínez Delgado were also employed by the FAP temporarily but were unable to stay because they were not U.S. citizens at the time. 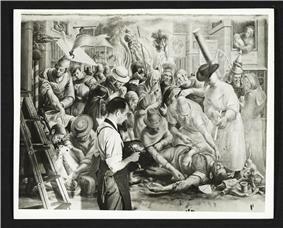 ^ "GSA Recovers Historic New Deal Art". U.S.
^ Atkins, Robert (1993). ArtSpoke: A Guide to Modern Ideas, Movements, and Buzzwords, 1848-1944. Abbeville Press. ISBN 978-1-55859-388-6. 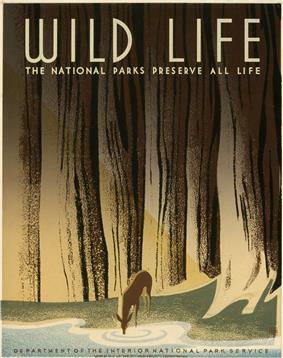 ^ Curry's murals were funded by the Treasury Department's Section of Painting and Sculpture (later known as The Section of Fine Arts) and not the WPA. Kennedy, Roger G., and David Larkin (2009). When art worked. New York: Rizzoli. 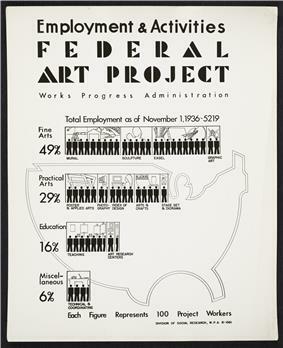 Federal Art Project. New York City. Federal Art Centers of New York. FAP: New York, 1937? 8 pp. 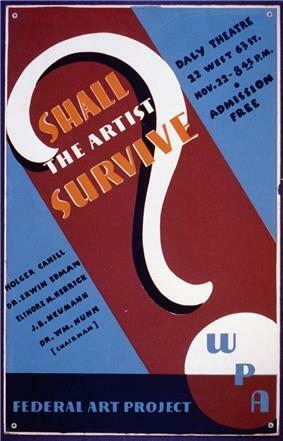 "1934: A New Deal for Artists" Exhibition at the Smithsonian American Art Museum.